"Old fashions please me best; I am not so nice to change true rules for odd inventions." Posted Jun 08, 2018 by Eds. On May 21 Australian Greens deputy leader Adam Bandt introduced a small but potentially significant private member’s bill into the House of Representatives. It is a bill to re-establish “old fashions”, like fairness, equity and justice. The bill is a key step towards taming the gig economy because it re-asserts rules that have been ignored to accommodate odd, and not so nice, inventions. The Fair Work Amendment (Making Australia More Equal) Bill 2018 aims to classify so-called “gig economy” workers as employees to give them minimum pay and workers’ rights. The bill signals that the Greens are serious about getting a better deal for some of Australia’s most vulnerable workers. How Labor responds to the bill will tell us a lot about how fair dinkum they are about “changing the rules” to restore fairness to Australia’s labour market. The Greens bill is straightforward and uncomplicated. It would give the Fair Work Commission the power to extend provisions of the Fair Work Act, awards or enterprise agreements to gig economy workers and others in non-standard forms of work. If enacted it would ensure that all Australian workers are treated equally and fairly, and close a loophole that is currently facilitating the exploitation of thousands of rideshare drivers, couriers and other gig economy workers. In its simplicity the bill bores through to the very core of our society, where we keep our most fundamental principles. It asks us a simple question: do we think all workers are entitled to minimum wages and basic entitlements such as superannuation, sick and annual leave, and fundamental protections such as WorkCover? The bill will be held over for debate in the next sitting of parliament. This puts the acid squarely onto Labor, which will have a few weeks to consider its response to the bill. What that response looks like will be interesting, given that a vote against it is effectively to endorse the status quo—where people are being ripped off, underpaid, robbed of their superannuation entitlements and work with no safeguards or protections. Many in the party will no doubt be drawn to supporting the bill, which sings straight from the Labor hymn book. Those with an eye on international trends would also be tuned in to the fact that the tide is turning against the gig economy. The Uberisation of everything from taxis to warehouse packing to aged care work, has lost its gloss. From being ‘oh so cool’ and ‘zeitgeisty’ even just a year ago, the no rights, no protections, no minimum wage model is becoming increasingly exposed as the dud deal that it is. There is a growing body of evidence to indicate that bike couriers and rideshare drivers and the like cannot earn the minimum wage, face significant risks from accidents or other injury, have no protections and no leave or other entitlements or rights. There are few winners from all this digital disruption. The individual workers are losing out, the legitimate traditional industries that ‘play by the rules’ are competitively disadvantaged, and governments are realising they will soon need to foot the bill for the hundreds of thousands of workers not accruing superannuation. The Greens are showing themselves to have their fingers on the pulse with this bill, which picks up on a global wave of awareness and alarm about the dark side of the gig economy—both now and in prospect. British Labour Party leader Jeremy Corbyn has been very vocal in his opposition to the exploitative elements of the huge gig economy. There are 5 million people currently working in the gig economy in Britain according to the McKinsey Global Institute. In the United States, at least four potential Democratic presidential candidates have signed on to a sweeping new piece of legislation that would dramatically expand labour rights nationally. The Workplace Democracy Act was introduced in the Senate by Bernie Sanders and is co-sponsored by Senators Kirsten Gillibrand, Kamala Harris and Elizabeth Warren, along with 10 other Democratic senators. Gillibrand, Harris, Warren and Sanders are all speculated to be favourites in the Democratic nomination for president in 2020. The U.S. bill is the latest in a series of progressive pieces of legislation introduced in the Senate that have pushed Democrats left on major policy positions ahead of the primaries. Among other reforms, the bill would expand the definition of an “employer”—a provision that would likely crack down on gig economy companies such as Uber, which claim the people who work for them are independent contractors without the right to collective bargaining. recognise that a civilised society and economy is one in which there is universal application of entitlements to minimum pay, superannuation, sick leave, workers’ compensation and so on. The bills are also significant because they represent the beginning of the end of what could reasonably be considered the “wild west” phase of the gig economy—postmodern capitalism 2.0. Uber launched in Australia in 2012, and many other providers of app-based services have followed since. Regulators have faced a tough time herding the gig economy cats in the years since, but they are beginning to get the lasso around them. The regulators in white hats are coming over the hill, and have the rights-rustling gig bandits in their sights. When they do catch up to them, and all workers will have to be paid a minimum wage and accrue superannuation, etc, some business models will not survive. 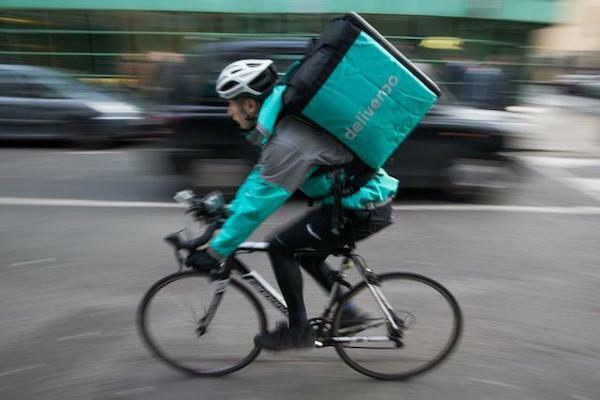 Much like the taxi and other established industries that were disrupted by the gig economy, many of the new providers will themselves be (potentially fatally) disrupted by the push to change the rules, or at least establish some rules. Before that happens, they will fight, and some, like Uber, have deep pockets, powerful connections and big lobbying budgets, so establishing firm new ground rules will not be easy. The Greens’ bill, and unions such as the Transport Workers Union, which are organising and supporting gig workers, have plenty of detractors in government and business circles. Opponents of regulation will bleat about innovation being stifled and business opportunities being foregone. But any innovation that relies on arcane pre-industrial revolution piece-work to make a dollar is not much of an innovation, and not much of a business. Such models should be stifled, and quickly. Surely the conservatives believe that a key part of successful enterprise in the capitalist system is to be nimble and agile and able to adapt to changing regulatory and policy settings. New businesses, which pay their employees a fair wage and provide basic entitlements and protections, will emerge. Isn’t that sort of flexibility what the government is all about? The fate of the Greens’ bill, and the future of work in Australia, is in the hands of the parliament. The bill delivers us the ability to tame the gig economy “shrew”. As Adam Bandt said when introducing his bill: “I say to everyone who at the moment is in the gig economy, who is busting their gut for no money and no conditions, the legislation to give you minimum wages and entitlements is now sitting before this parliament. The words that will broaden protection for workers in the gig economy are on this piece of paper, in this bill”.